The METOKIS project (1.1.2004 – 31.10.2005) investigated the use of semantic web technologies for electronic publishing in knowledge-intensive subject fields such as News Services, Education, and Clinical Studies. The project results are a Semantic Content Model and software to handle these semantics-based content objects, as well as a methodology for assessing the cost-benefit and for planning the introduction of semantics-based content applications in knowledge intensive organisations. The Semantic Content Model is called KCO (knowledge content object) and describes a standardised data structure based on a foundational ontology. There is a defined methodology for specialising the model for new application domains, described within the “Handbook on the Integrated Knowledge Service Methodology”. The innovation of METOKIS lies in developing the above model together with an architecture that allows the linking of content management with semantic web technologies. The architecture is designed to enable the re-use of KCOs in other content and knowledge management systems. To this end, a middleware system was developed which enables the interoperation of a federation of management nodes. Each node runs a server based on the Knowledge Content Carrier Architecture (KCCA) and the nodes communicate with each other using a http based protocol which we call kctp (knowledge content transfer protocol) and which is based on the FIPA agent communication language. To summarise, on these pages you will learn about the data structure of KCOs, about the architecture of the KCCA middleware and about extensions to the foundational ontology DOLCE upon which the semantic structures of KCOs are built. We also present three showcases in which we highlight specific aspects of the KCO/KCCA model. METOKIS was a fast-track, technologically ambitious 22-months targeted research project exploring a novel convergent technology for knowledge and content management. It went beyond the current state of the art in Semantic Web by defining a common object model for semantically and structurally rich multimedia content and by developing a technical infrastructure for managing this novel type of “intelligent content”. The project was intended to impact on similar, longer term RTD activities primarily through its practical results in terms of design and prototype implementation. 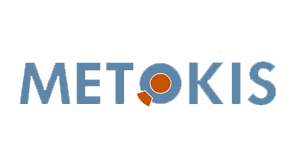 The METOKIS project has contributed to the strengthening of Europe’s technology basis in the fields of content and knowledge management, semantic web, and methodology for advanced, knowledge and content-rich information systems. METOKIS is one of the first finalised RTD projects of the 6th framework programme, in the area of Knowledge Content Technologies (KCT), thus contributing to our understanding of emerging trends such as the notion of “Web 2.0”. Updated on 2016-05-02T14:56:16+00:00, by Martina Sangiovanni.